Revealed: What the Bible Can Teach You About Yourself presents a unique look at a familiar cast of biblical characters through the eyes of a psychologist. While weaving in her personal story of healing, Schaffner uses her professional background to expertly highlight themes of seeking simplicity, finding purpose, and navigating painful and emotional experiences. Comprised of compelling, relatable stories, Revealed makes the Bible come alive to listeners in a personal and meaningful way. 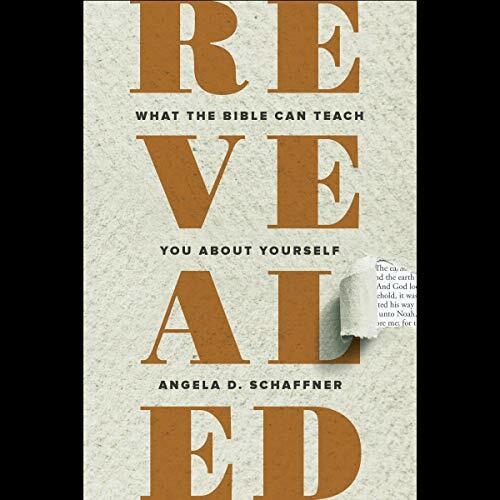 Through an in-depth look at the hearts of well-known biblical characters, Schaffner explores ways listeners can relate to these cherished stories in their own spiritual lives, acknowledging that everyone shares the common experiences of being pulled toward external measures such as wealth, achievement, and affirmation from others. The author challenges listeners to face the reality of their hearts and begin an inward journey of renewal, listening for God’s voice in unlikely places - and through unlikely people. Listeners will see themselves more clearly through the lens of scripture and ultimately experience deeper self-awareness and spiritual growth. I purchased Angela Schaffner’s book recently and by the following day I had finished it. Dr. Schaffner narrated the book herself, which makes the experience of listening to it being read that much more intimate. I appreciate her honesty and openness when relating her personal experience with her faith. Indeed, at many points, I found it resonating with events from my own life. I didn’t know that I needed this book, and I wasn’t looking for it. And yet, I’m glad it found its way to me anyway.